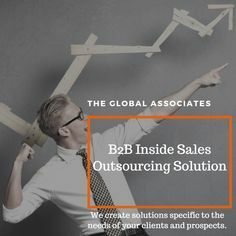 Business networking is an essential tool for Telesales Companies like The Global Associates in this age of ever-intensifying global competition and super-busy decision makers. The business environment has undergone a sea change over the past two decades, yet the first step for telesales companies still remains to approach the prospective buyers and try to build sustainable business relationships with them. You just cannot survive without a strong network today; your contacts in the industry and outside virtually decide your success rate. The rise of social media has changed the business realities forever; you now need to also develop contacts in the virtual world besides networking in real-life world. This gives you an opportunity to explore new possibilities, acquire useful information and get in touch with the prospective buyers, colleagues and peers. One must understand the basics of developing a solid network to make it more effective and result-oriented. Following are the three strong pillars of a networking campaign that can improve the working of telesales companies. Networking with a well thought-out strategy is imperative to make it count in real sense. Just going out and trying to develop a business networking without having a clear purpose will not take you too far. One must have a clear idea about the type of persons and companies they want to have in their network to begin with;it’s necessary to start by preparing a list of people they already know and those they want in their network. When you set out to develop your network, you just cannot expect to only take favors and show no intentions to pay back.If you remain selfish, people will turn away sooner or later.Be ready to return favors whenever you can in the form of a referral, useful information or by passing over a client who does not want your services right now. Your networking circle is the third pillar your network stands on, limiting it could affect your prospects in the long run.Telesales companies executives shouldn’t restrict their network to a small circle of people related to their specific field or industry. Good opportunities are always available outside your industry or social circle, so it’s essential to keep expanding your net.